Each week, Modern Restaurant Management magazine compiles restaurant industry headlines in MRM News Bites. This week, we feature a scholarship challenge, recipe contest and new products. Send items of interest to Executive Editor Barbara Castiglia at bcastiglia@modernrestaurantmanagement.com. The Institute of Culinary Education (ICE) launched the 2017 #CulinaryVoice Scholarship Challenge. Following 1.1 million worldwide votes and the record success of the 2015 #CulinaryVoice Scholarship Challenge, ICE is now granting even more scholarships—this time 18 scholarships totaling more than $212,000—in its search for the next generation of culinary talent. For 2017’s challenge, ICE partnered with Marcus Samuelsson, Ted Allen, Donatella Arpaia and Duff Goldman to challenge the nation to enter and win a scholarship to attend ICE. A worldwide public vote will determine the finalists, and the winners will be chosen by an exclusive panel of ICE instructors. Entrants upload an original one-minute video to ice.edu/CulinaryVoice demonstrating their creativity, their passion for food or service or their entrepreneurial flair. In the video, contestants should explain who they are, who or what inspires them and what they hope to achieve in the culinary or hospitality industries. Entrants should tell the world why they deserve one of 18 scholarships and the chance to study at ICE. The top 50 #CulinaryVoice Scholarship Challenge finalists in each category will be determined by public vote, and for every vote, ICE will make a donation to Careers Through Culinary Arts Program (C-CAP) to fund even more scholarships. One full scholarship and two partial scholarships will be awarded for each of ICE’s six award-winning career training programs: Culinary Arts, Pastry & Baking Arts, Culinary & Restaurant Management, Hospitality Management, Bread Baking and Cake Decorating. Independent family or “neighborhood” restaurants once again have the chance to win a $50,000 grand prize in the 3rd annual Neighborhood to Nation™ Recipe Contest from General Mills Foodservice In addition, celebrity chef Amanda Freitag of Food Network’s “Chopped” returns to help judge and host the recipe contest that gives independent restaurants the opportunity to get national recognition for their one-of-a-kind dishes. General Mills Foodservice created the Neighborhood to Nation Recipe Contest to celebrate this distinct segment that doesn’t often get a lot of recognition. The contest is open to foodservice operators, chefs and line cooks who develop and prepare recipes for menu items served at independent, commercial restaurants. From January 5 to February 28, foodservice operators, chef and line cooks who develop or prepare recipes for menu items served to paying guests at independent, commercial restaurants may submit their favorite original breakfast, entrée or dessert recipes. They must use at least one ingredient from General Mills Foodservice’s participating brands: Pillsbury™ (biscuits, puff pastry and pot pie dough), Gold Medal™ (baking mixes), Yoplait® (yogurt) and Mountain High® (yogurt). The submissions close February 28, Official rules are available online at www.NeighborhoodtoNation.com. As burdensome regulations continue to negatively impact small businesses, members of the restaurant industry, including the National Restaurant Association, have joined together to form the Restaurant Law Center. The new Center will provide legal advocacy on behalf of the restaurant industry to fight against overregulation on a local, state, and federal level. One of the first cases the Restaurant Law Center will manage is Oregon Restaurant and Lodging, et al v. Perez, et al. The Restaurant Law Center will file a Petition of Certiorari with the U.S. Supreme Court on January 19, 2017. The case challenges the U.S. Department of Labor’s determination that bars restaurants that do not take a tip credit from allowing front of the house staff to share tips with back of the house staff. To learn more about the Restaurant Law Center, click here. Arbor Lodging Partners, owner of the historic Hotel Phillips, opened Kilo Charlie, an artisanal coffee bar unlike any other in downtown Kansas City. Kilo Charlie is the first restaurant concept to open in the hotel, as part of its $20 million renovation, which kicked-off in September 2016. The concept is partnered with Philadelphia-based master coffee roasters, La Colombe. NVN Hotels manages Hotel Phillips. When Hotel Phillips opened its doors in 1931, people all over the world were discovering radio’s remarkable power to create shared experiences and connect people – across the globe and across town. Derived from the NATO phonetic alphabet radio call signals “K” and “C,” Kilo Charlie serves as a comfortable, unique gathering place for coffee dwellers – accommodating single and group coffee aficionados, as well as on-the-go commuters and hotel guests. Kilo Charlie is located on the corner of 12th Street and Baltimore, in the heart of downtown Kansas City, and offers a variety of hot and cold artisanal coffee drinks and brews. Hotel Phillips will be announcing additional information about the new P.S. Speakeasy and renovation completion updates including the opening of Tavernonna Italian Kitchen in the coming weeks. t seems only appropriate that the Mammoth Dining Room is the first restaurant in the national park system to ever earn the coveted 4-Star Green Restaurant Association certification, given Yellowstone National Park is also the first national park in United States (established in 1872). Xanterra Parks & Resorts, the company that operates the Mammoth Hotel Dining Room, received the news in December 2016. The Green Restaurant Association (GRA) is a national non-profit organization that provides a cost-effective way for restaurants to demonstrate their commitment to environmental sustainability. The Mammoth Dining Room 4-Star rating , is the first 4-Star certified restaurant in Wyoming and one of only 25 restaurants to hold the distinction in the world. Located near the north entrance of Yellowstone National Park on the site of historic Fort Yellowstone, the Dining Room embraces a casual setting with sweeping views of what was once the cavalry parade ground. 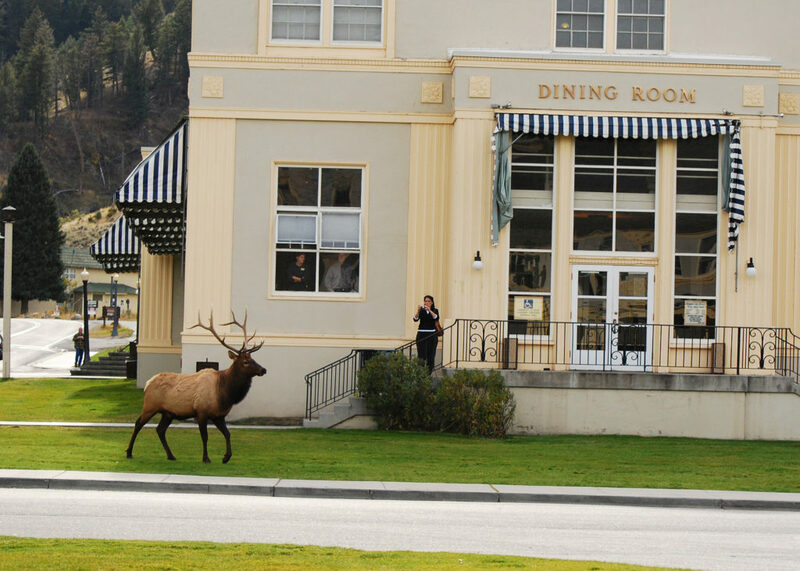 It’s also not uncommon to have front-row views of grazing elk and bison from the windows of the Mammoth Hotel Dining Room. In the winter, wolf watching is immensely popular. ezCater, the only nationwide marketplace for business catering, today announced that it has raised a $35 million round of funding led by ICONIQ Capital with participation from existing investor Insight Venture Partners. The funding, which brings ezCater’s total amount raised to $70 million, will be used to continue the company’s rapid growth by accelerating product development, expanding its award-winning customer support, and bolstering sales and marketing. Propelled by an increasing reliance on food in the workplace, the market for business catering in the U.S. is now worth $21 billion annually, according to foodservice industry research firm Technomic. ezCater’s focus on serving businesses and its ability to provide food for business events and meetings that take place anywhere in the U.S., make it a compelling solution for all organizations, from top pharmaceutical companies like AstraZeneca to commercial real estate firms like Jones Lang LaSalle. Maven Capital Partners led a £2.7 million (US$3.4 million) investment in QikServe Limited, which has developed a patented B2B cloud-based platform aimed at hospitality operators, enabling customers to order and pay for items from a smartphone, tablet or self-service terminal. Founded in 2011 by entrepreneurs Daniel Rodgers and Ronnie Forbes, QikServe’s software has undergone a number of years of investment and development and more recently successful pilot schemes have led to contracts secured with a number of global hospitality businesses. The funding, which includes a £2 million investment from Maven, alongside £700,000 of additional backing from existing investors, Par Equity, Equity Gap and Scottish Enterprise, will support the global roll-out of QikServe’s platform, including major expansion into the United States, growing the firm’s workforce in key areas, and supporting channel partners. QikServe’s platform enables customers to discover restaurants, check-in to tables, browse menus, place orders, save and redeem loyalty points or vouchers, and pay their bill directly from their mobile phone or tablet. The platform targets the increasing consumer adoption of mobile solutions and also brings significant advantages to restaurants by improving efficiencies, reducing labour costs, and increasing average spend; QikServe’s pilot schemes have seen an uplift in spend per head of between 50 and 73 percent. The investment in QikServe represents Maven’s sixth Venture Capital Trust transaction and in total its 12th Private Equity investment in the past year. Maven was advised by Burness Paull on the transaction. 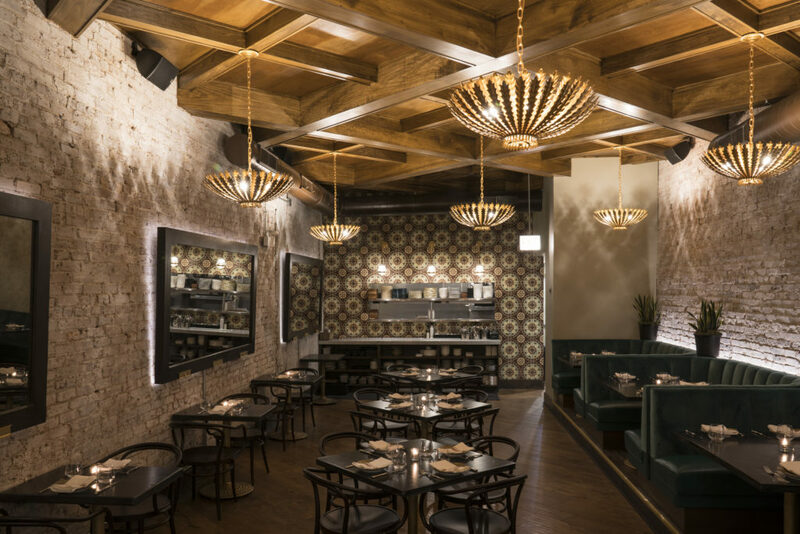 Ronero at 738 W. Randolph Street in Chicago, the Latin American-inspired rum bar from Owner Nils Westlind and Executive Chef Cory Morris, opened recently taking guests on a tour through Central and South America. From industry veteran Nils Westlind, Ronero draws inspiration from the culturally rich Latin American region where Westlind grew up. The multi-level concept will serve dinner downstairs with an additional bar upstairs, which will feature live music and entertainment in early 2017. At the helm of Ronero’s menu is Executive Chef Cory Morris, formerly of Rural Society and Mercat a la Planxa. The menu features South American staples with contemporary touches, broken up into three sections: Para Compartir; Carnes, Aves, Pescado; and El Gran Show. Para Compartir, or “to share,” includes small bites such as Coxinha de Galinha, roasted chicken croquettes with frisse and aioli; Ceviche Mixta made with shrimp, sea bass, coconut, lime, corn nuts, fresno chiles, and cilantro; and Matambre, cured beef, heirloom carrot, egg, and chimichurri emulsion. Carnes, Aves, and Pescado features dishes including Cordero, Colorado lamb chops with huacatay sauce and Peruvian potato; and Vieiras, diver scallops with orange-mojo, polenta, and delicata squash. 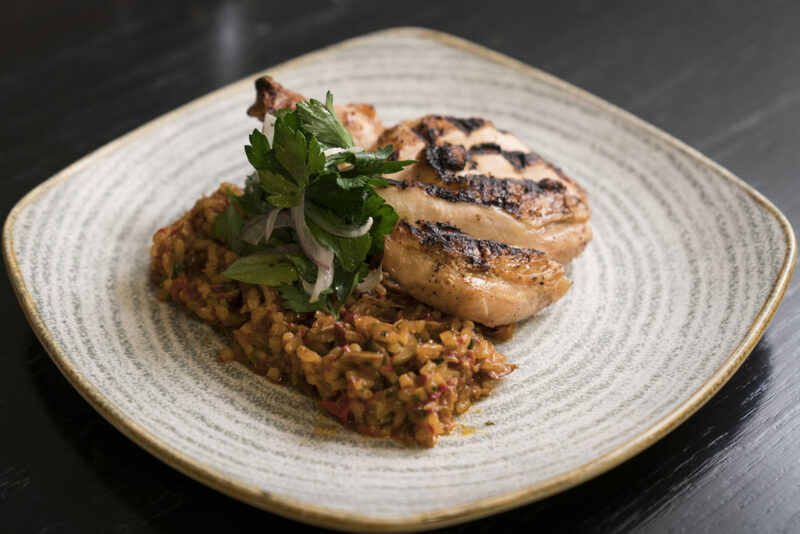 El Gran Show features three spectacular, shareable dishes all served tableside, including Pescado Fritto, a whole fried Red Snapper served with coconut-cola rice and fried plantain; and Puerco en Pachamanca, a 32 oz. pork shoulder wrapped in banana leaf, served with yucca and garlic mojo. Allie Kim, formerly beverage consultant at BOKA Restaurant Group, serves as beverage director. The downstairs menu includes original cocktails such as the Mama Pacha, made with Bols Genever, Singani 63 Bolivian Spirit, St. Elizabeth Allspice Liqueur, Chicha Morada (purple corn punch), and lemon; and the Desierto Florido, made with Copper and King’s Unaged Apple Brandy, Cinnamon, lemon, egg white, Chilean Pinot Noir, and rose petals. Kim also reimagines classic Latin American cocktails such as the Daiquiri, Caipirinha, Julep, and others. Highballs and drams are available, as well as a selection of regional and local beers. A bi-level, dual concept, Ronero draws inspiration from Little Havana in the Art Deco era. With industrial touches and gilded accents, guests are immediately transported to the rum-running days of Prohibition upon entering the restaurant. Ronero, a title given to one who has mastered the art of rum-making, served as a primary source of inspiration for the design, lending hints of nostalgia to the rum-rich cultures of the Caribbean and Latin America throughout the space. Gorgeous gold tiling adorns the walls, and vibrant tropical banana leaf print surrounds the banquets. The upstairs bar, set to open in early 2017, is designed as an homage to Castillo San Filipe de Barajas in Cartagena, Colombia, a place that holds special memories for Westlind. The upstairs bar will hone in on crafting upscale cocktails with a focus on rum as well as rare and exclusive spirits, complete with tableside service, and live music. Garden Fresh Restaurant Corp. will sell the company’s assets to affiliates of Cerberus Capital Management, L.P. (and its partners. Garden Fresh expects to emerge from its Chapter 11 restructuring process later this month. Specific terms of the agreement, which received court approval today, were not disclosed. Garden Fresh said it would emerge from the financial restructuring with between 90 and 104 restaurants, a stronger capital structure and significantly less debt. Garden Fresh, which has more than 100 company-owned restaurants in 11 states, said the acquisition will be completed during late January and no significant changes to its day-to-day operations are anticipated. Creating tasty, healthy meals at home doesn’t have to be intimidating. 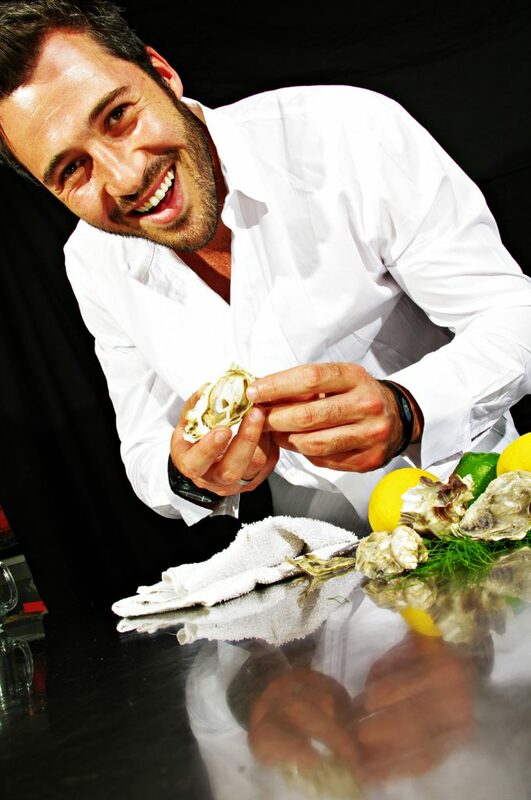 Chef Sharone Hakman has partnered with multi-platform online food publisher Cooking Panda to share his “Everyday Elevated” approach to cooking. “Everyday Elevated” is a five-episode online series marking his first major collaboration with a digital-exclusive publisher. Sharone will show Cooking Panda’s 12 million social fans how to transform “everyday” foods into exciting (and healthier) meals with a flair. He believes that mundane dishes can be “elevated” with simple, whole ingredients – and you don’t have to be a Master Chef to do it. “Everyday Elevated” episodes will be posted weekly for five weeks; 60-second versions will be posted to Cooking Panda’s Facebook page, and longer, 3-5 minute versions will be posted to CookingPanda.com. Cooking Panda is a multi-platform online food publication under the banner of Los Angeles-based digital media company Render Media. With 12 million social fans and millions of monthly visitors to CookingPanda.com, Cooking Panda is the fastest-growing online food publication today. It is also the most engaged food publisher on Facebook; fans of the page engage (like, comment, share) with the content at a much higher rate than any other page in the food and recipe space. Dong Lai Shun, a Beijing institution and home to the original hot pot restaurant in China, has expanded to North America, selecting Mountain View, CA as its first restaurant location in the U.S.
Members of the Mountain View Chamber of Commerce, joined by Mayor Patricia Showalter, will formally welcome General Manager Harry Huang and Executive Chef Wang GuoXin at the ribbon cutting ceremony on the restaurant’s grand opening, Tuesday, January 10, 2017. Dong Lai Shun serves authentic Beijing cuisine in an elegant setting that reflects Beijing’s rich culture and history. Its traditional furniture, carved panels and glass work were designed to transport the diner to the Imperial Court where the Emperor once enjoyed the most lavish cuisines from all over the nation. The restaurant specializes in hot pot cuisine and Beijing speciality dishes and desserts, including flavorful lamb kebabs and paper-thin beef cuts for hot pot. The restaurant was conceptualized with group dining in mind: It features special seating that can be reserved to accommodate large corporate lunches and group events. Its individual hot pot menu caters to parties of any size. The Dong Lai Shun Group is a restaurant and foodservice organization headquartered in China whose history can be traced back to 1903. It operates 23 company-owned restaurants in China. PicoBrew, manufacturer of the world’s first automatic all-grain craft beer brewing appliances is developing a line of commercial craft beer brewing appliances for bars and restaurants that leverages their patented and award winning “modernist beer brewing technology”. The products, code-named “Indy” will be available in 2017. PicoBrew has partnered with over 150 craft breweries from around the world, and Indy customers could join this Pico Brewers Network to brew great beers from around the world, or brew their own recipes designed from scratch utilizing the PicoBrew BrewCrafter tool. 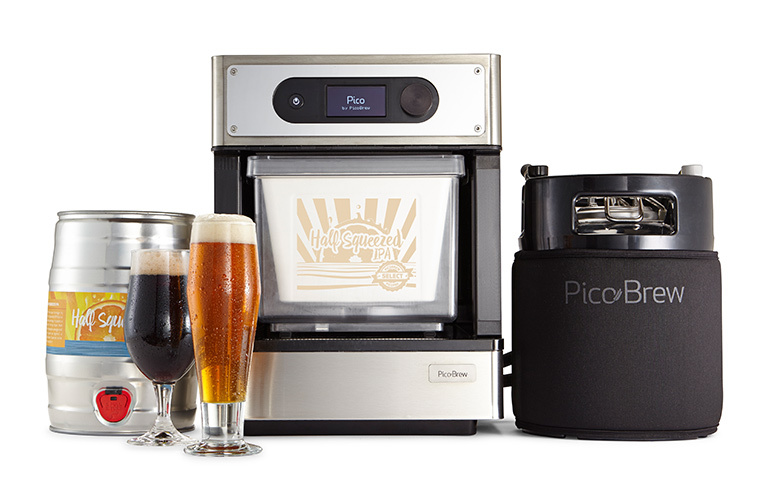 PicoBrew’s BrewCrafter allows both expert brewers and complete brewing novices to brew great beer. It provides guidance along the way, suggesting a balanced mix of ingredients to ensure creation of a delicious beer recipe. PicoBrew’s software tool suite makes managing a collection of Indy brewing appliances simple and approachable as well. Indy products are automated, IoT, beer brewing appliances capable of brewing from five gallon to fifteen gallons of craft beer in 3-4 hours, with a grain-to-glass serving time of about a week, depending on the recipe. Indy sports a modern design aesthetic and rugged stainless cases designed for under-counter placement. Some models allow for direct water connections, while others enable separate water-keg supplies. 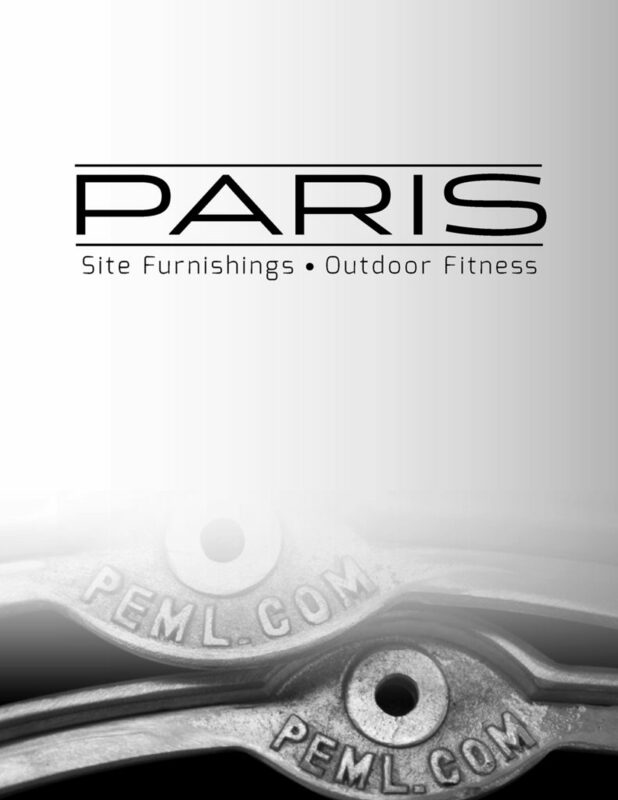 Paris Site Furnishings and Outdoor Fitness presents their full line of site furnishings and outdoor fitness equipment in a new, 68-page, full-color catalog. This comprehensive offering details the company’s extensive line-up of benches, waste & recycling receptacles, bike racks, bollards, planters, picnic tables, shade furnishings, sports field equipment, and outdoor fitness equipment. It is available in-print by request, or online at http://www.peml.com/resource/PEML_Catalogue_2016_FullBook_web.pdf. Available as standard products, or customized to include company name and logo or other messaging to suit particular customer requirements. Tork, an SCA brand, launched Tork Stainless Washroom Upgrade Solutions, a new offering that helps customers unlock their restrooms’ hidden potential by debunking the myth that upgrading a restroom’s ambiance and efficiency requires significant time and money. While restrooms aren’t top-of-mind for the average person, it is arguably the most often-used facility in any building. Whether it be a restaurant, hotel, university, transportation hub, hospital or office building, unclean, poorly-stocked and outdated restrooms leave a negative impression on visitors, tenants and even employees, while a well-maintained facility enhances a business’ reputation. Tork Stainless Washroom Upgrade Solutions provides customers with a premium and cost-effective alternative to restroom upgrades. With this line of easy-to-install systems that won’t hurt existing infrastructure or take restrooms out of play for long periods the way a traditional renovation would, enhancing restroom facilities no longer means an extensive overhaul. With Tork’s new range of solutions, facility managers can unlock an improved, modern restroom experience for users by making simple upgrades to existing units. Tork Matic® Hand Towel Dispenser Recessed – with Intuition™ Sensor – This dispenser easily fits into existing recessed infrastructure, providing a touch-free roll towel system that gives guests the ultimate hand drying experience. Tork Xpress™ Recessed Cabinet Towel Adapters – With three size options that are easily attached within a recessed towel cabinet, this is ideal for customers who prefer folded towel solutions. Not only does it ensure one-at-a-time dispensing, it also prevents product from falling out. 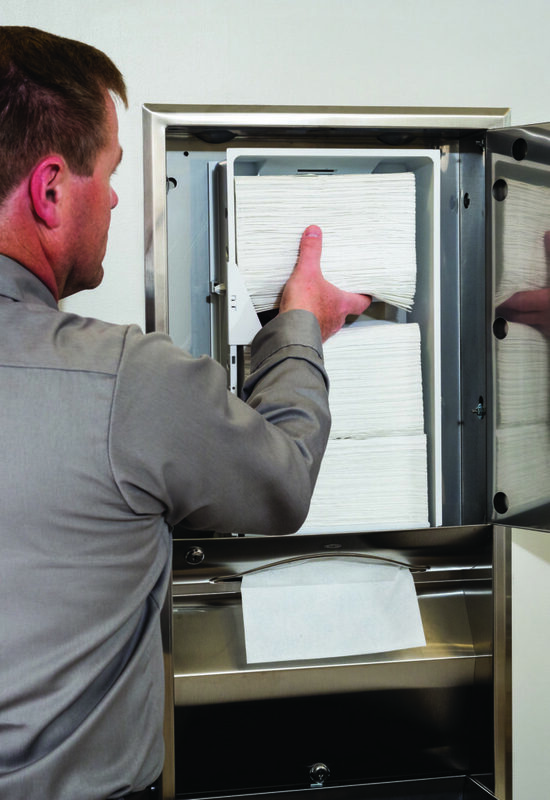 In North America, SCA produces the Tork® line of napkin, towel, tissue and wiper products used in commercial settings such as office buildings, restaurants, schools and healthcare facilities. Through a recent acquisition, SCA produces the Wausau Paper® brand of Away from Home products. SCA TENA® line of incontinence care products is used by consumers at home and in healthcare facilities. TENA and Tork are the global leading brands in their categories. New peanut allergy guidelines were announced by the National Institute of Allergy and Infectious Diseases (NIAID) offer the promise that early introduction of peanut-containing foods to infants can prevent the development of peanut allergy. “These new guidelines are very exciting in that they have the potential to reduce the prevalence of peanut allergy in the United States,” says Tonya Winders, President and CEO of Allergy & Asthma Network, the nation’s leading patient education and advocacy organization for people with asthma and allergies. “Parents of at-risk children can now take steps to prevent the development of peanut allergy by introducing peanut-containing foods as early as 4 months of age. The new guidelines are an addendum to the 2010 Guidelines for the Diagnosis and Management of Food Allergy in the United States. Infants with severe eczema, egg allergy or both are at high risk for peanut allergy and should be given peanut-containing foods – such as peanut butter – between 4-6 months of age to reduce the risk of developing peanut allergy. The infants should first see a board-certified allergist for peanut allergy testing, which will determine if peanut can be safely introduced, and if this needs to first be done in a specialist’s office. Infants with mild or moderate eczema should have peanut-containing foods introduced into their diets at 6 months of age to reduce the risk of developing peanut allergy. These children do not need to first see a specialist and can have peanut-containing foods introduced at home. Infants without any eczema symptoms or egg allergy can have peanut-containing foods freely introduced into their diets together with other solid foods, in accordance with family preferences and cultural practice. These children also do not need to first see a specialist and can have peanut-containing foods introduced at home. Peanut-containing foods should not be the first solid food introduced to a child. It’s also recommended that peanut-containing foods only be given when the child is not ill.
Never give whole peanuts to an infant as they are a choking hazard. Terry Arnold has joined Southern Glazer’s Wine and Spirits as Senior Vice President, Human Resources. In this role, Arnold is responsible for providing leadership in developing and executing the Company’s human resources strategy in support of the overall business plan and strategic direction of the company including: organization design, talent management, talent acquisition, learning and development, compensation, benefits, diversity and inclusion, HR information systems and processes, labor relations, and policies and procedures. Arnold brings more than 20 years of experience in human resources, with deep leadership experience driving operations, business processes, supply-chain optimization, sales management and information technology initiatives for global, industry-leading companies. 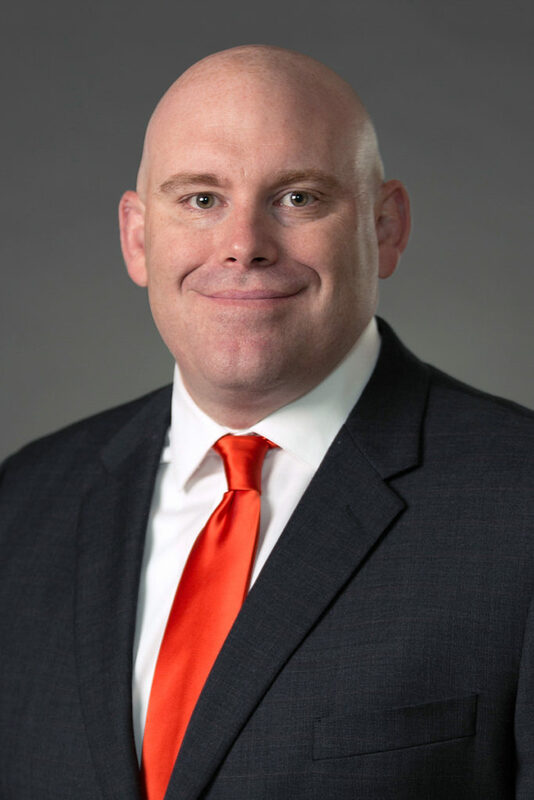 He has been recognized for his entrepreneurial spirit and for building strong teams, while achieving bottom-line results through a strategic process improvement approach. Prior to joining Southern Glazer’s, Arnold served as Vice President of Human Resources at BMC, a leading building material, manufacturing and distribution company. In this position, he led human resources for the company’s multi-state operations, inclusive of a diverse labor force spanning 120 locations. Most recently at BMC, Mr. Arnold focused his efforts on driving process consistency, leadership development and strategic talent management. The Digital Signage Federation (DSF), the independent not-for-profit trade organization serving the digital signage industry, announced the election of its new 2017 Board of Directors. The full DSF 2017 Board of Directors can be viewed by clicking here.